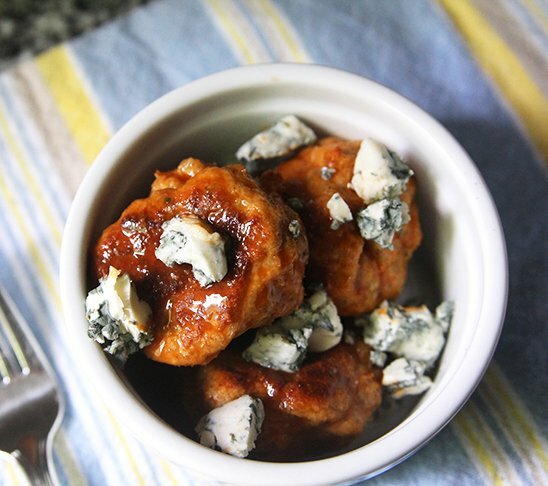 Buffalo chicken used to be a flavour combination that I reserved for game day in the dead of winter. But why only have it then? 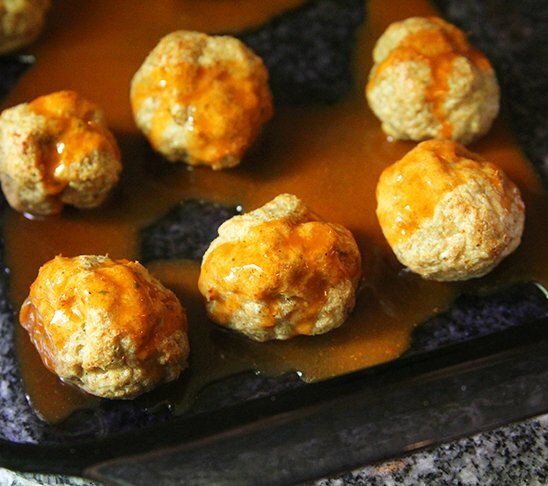 The combination of buffalo sauce is delicious in so many dishes. 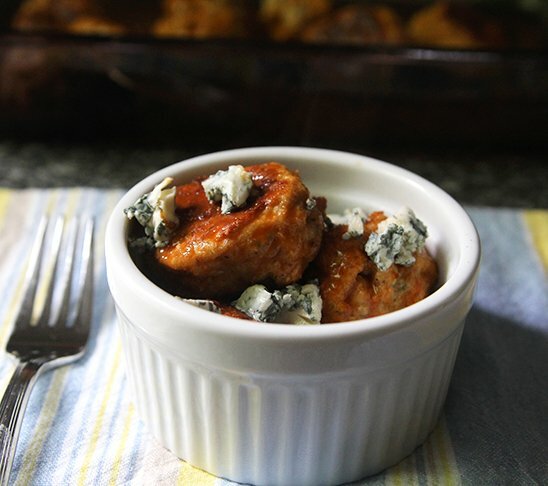 It’s awesome on top of macaroni and cheese, amazing served in wraps and irresistible in meatball form. 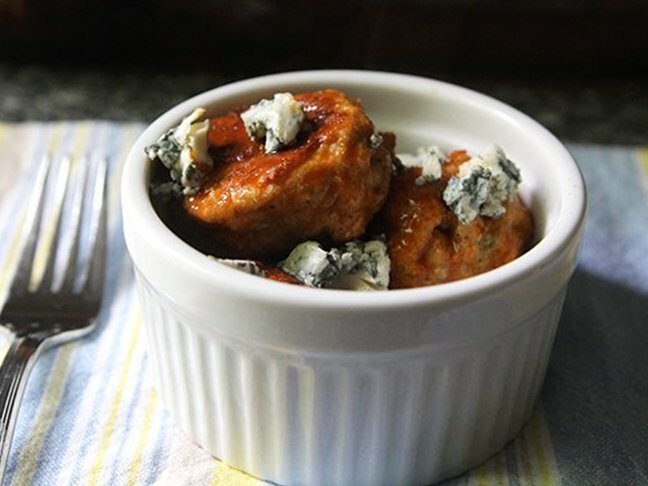 I’m telling you, if you love buffalo wings, you’re going to love these super easy and mess-free buffalo chicken meatballs. 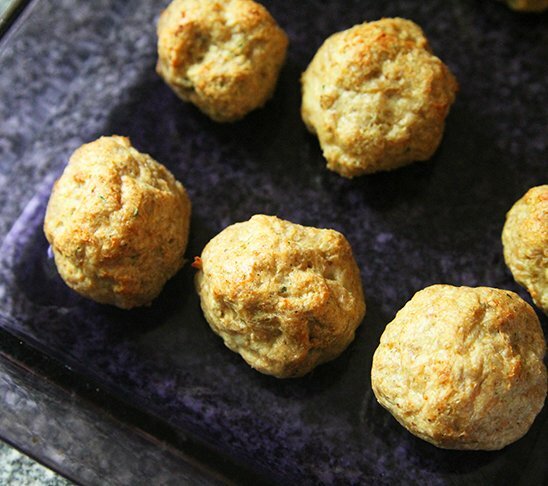 And they’re a whole lot healthier than the traditional appetiser! And have I mentioned that they only take about 30 minutes to make? They’re baked in the oven until they are golden on the outside. 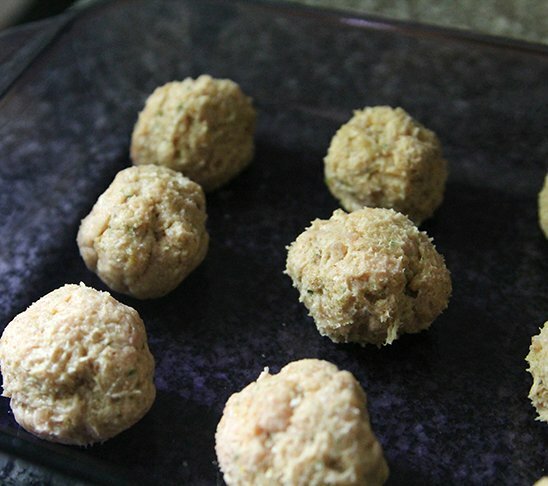 The meatballs should reach an internal temperature of 77 degrees Celcius.